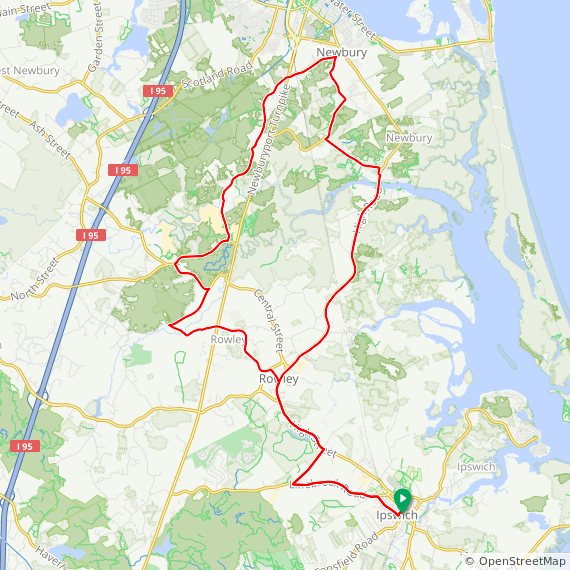 The Salt Marsh Tour passes through some of the most outstanding scenery in our area and offers the rare opportunity to cycle primarily on wide flat roads with just a few very short climbs. We take Rt. 1A north through Rowley and the Great Salt marsh to Newbury. 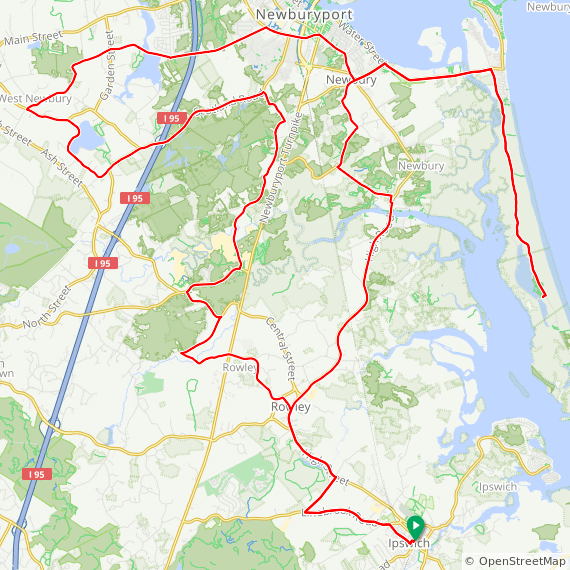 The shortest version turns back at Newbury Green, while the medium and long routes continue to Plum Island with an out and back 8-mile ride to the Hellcat Trail parking lot on the Parker River National Wildlife Refuge park road (restroom at the beginning of the trail). Also on the bike lane that runs between Newbury and Plum Island is the Joppa flats Audubon Center with modern facilities and the first opportunity to refill water bottles. 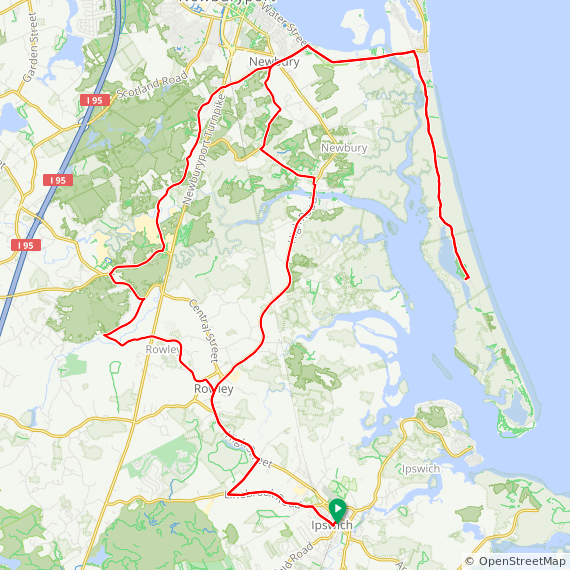 The long and extra long loops go through Newburyport to the Artichoke Reservoirs. All routes return along wooded local roads to Rowley on the way back to Ipswich. 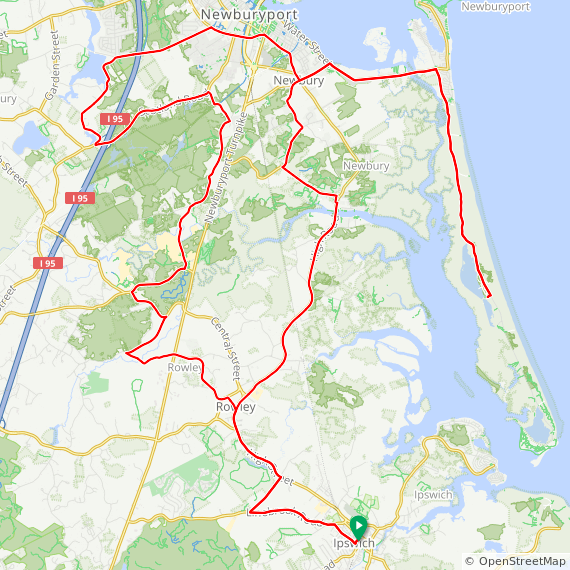 Medium and Long rides: Make sure to bring $2 or a National Parks Golden Pass for the entrance fee to the Parker River National Wildlife Refuge park road on Plum Island (restroom at the beginning of the trail).